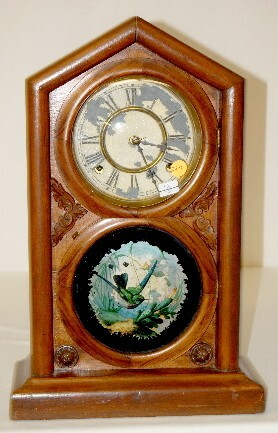 Waterbury Rosewood "Norman Extra" Mantel Clock has pendulum; 8 day, spring strike. (Rough dial.) 17 1/2"